This mini bundle includes a sonnet from William Shakespeare (#130) and a sonnet from Elizabeth Browning (How do I Love Thee?). In this activity, students will compare the different tones and forms from both poems. One is beautiful and romanticizes love, and the other sees love realistically (and a little meanly if you ask me). 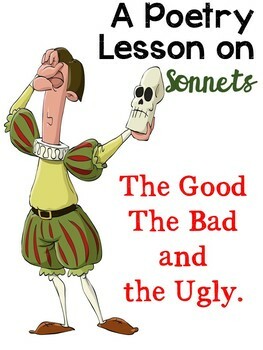 Students will identify the different types of sonnets, the figurative language found within their lines and will have the opportunity to write their own. Students get to see another side of Shakespeare from his sonnet. Students always love his realistic, yet sarcastic portrayal of love. The entire unit contains four pages.